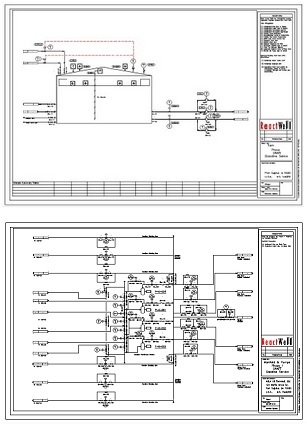 Process Instrumentation Diagrams (PIDs) are used to visually represent on paper, unit vessels, process tanks, reactors, towers, drums, knock-out pots, heaters, piping, tubing, control valves, manually operated field valves, analyzers, indicators, sample points and process interactions within a sub-system, unit operation, area or complex. Throughout project development a base case set of Process Flow Diagrams (PFDs) and PIDs are one data component involved in determining mechanical, rotating equipment, and I&E needs and cost. Post completion of projects, an as-built set of PFDs and PIDs is issued after thorough field walkdown and verification that PIDs at beginning of project amended by change orders during project are fully representative post-project completion. Note, PIDs are also referred to as Process & Instrumentation Diagrams (P&IDs). 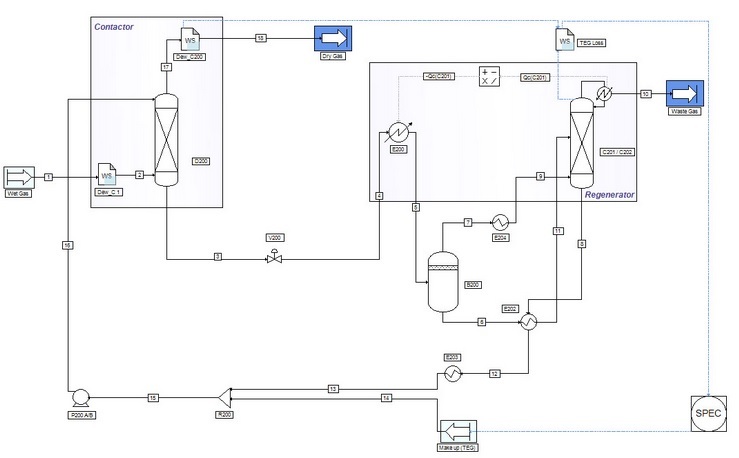 Process simulations are used to design, develop, analyze and optimize technical systems, such as chemical plants, refineries, power stations, product manufacturing operations, biological processes, synthetic fuels, and solar fuels. Process models represent the physical world through use of numerical systems. Fundamental prerequisite knowledge includes thermodynamics, chemical and physical properties for components, mixtures, kinetics for reactions, mass transfer, energy transfer and momentum balances. The objective of process simulation is to determine optimal conditions to maximize profit for a given product required by the operator. It is important to note that models are always approximations to real world technical processes and as such should be re-calibrated periodically for production units, especially when evaluating a new feedstock (process input).